Best Active Vacations for Three Generations – Try Kayaking. Planning a family adventure with kids is much simpler than doing the same thing to include teens. Teens want to know if there will be other teens. Teens want to be in control of their space. Most teens are hooked on texting and Facebook. Ply the waves. One of my favorite vacation activities with teens is kayaking because thanks to Mother Nature no trip can be duplicated. No previous experience is essential in order to have fun. The length is not so important although I found for us the longer the better because type “A” personalities have trouble disconnecting. The activity is deceptively simple unless there’s wind, waves, or an unexpected storm but that is the adventure part that makes any family vacation story real. We have kayaked near Virginia Beach on several occasions – paddling with dolphins along the coast; kayaking the Back Bay; plying the waters protected by First Landing State Park. Yes, the same Virginia Beach with the impressive Boardwalk, free concerts, public fishing piers, and terrific theatre. There is a secret side – uncomplicated, earth friendly and stress free. 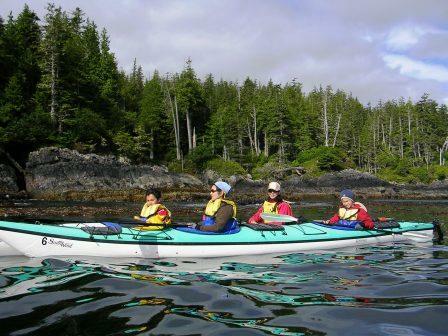 Sea Kayaking with schools of dolphins can’t be matched by a video game. The Back Bay National Wildlife Refuge, given its enormous size, can be intimidated. Our guide Sandbridge Eco Sports led us along the sepia-black water channels providing a moving documentary. Within minutes we were in the middle of nowhere sharing the wilderness area together – birds, fish, snakes, and an occasional turtle look on as we meandered. Kayaking in First Landing State Park offers a similar wild kingdom interlude only about four miles away from the Boardwalk. Our return trip was a breeze – literally. The wind had picked up and the paddling while still easy took more energy. 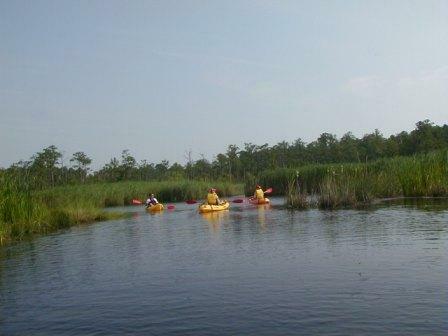 Our Kayak Nature Tours guide provided history facts and trivia about the area. The kids in our group went swimming and we had a couple of water fights – all in fun. It was for all of us (ages 8 to 65) a delightful morning which ended all too quickly – the perfect balance of exercise, relaxation and fun. Our kayaking God’s Pocket in B.C. was more quieting but equally as rewarding. Each day began with fog cloaking the inlets and covering the shoreline making the atmosphere surreal. The water is clear along the rocky shoreline making it easy to observe sea life. We saw bright orange sea urchins, and iridescent fishes, gregarious sea otters, porpoises jumping waves, and seals watching our every move. 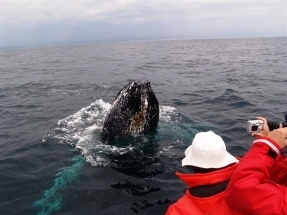 It was definitely “wild kingdom” times ten so the trip offered by Sea Kayak Adventures will not disappoint. Where ever there’s water kayaking can be part of the vacation. The Adventure Center offers a cool trip in Croatia kayaking along the Dalmatian Coast. Join other families with teens and explore Dubrovnik and then visit the Elafiti Islands which lie just off the coast. Go kayaking around and between the many islands in the Adriatic Sea; enjoy walking and biking with your teen. Combine kayaking and whale watching off Canada’s most eastern shore with the added benefit of icebergs both are commonly seen in the waters off the Viking Trail of Newfoundalnd. Wildland Tours organizes unique family adventures doing things seen only on the nature channel. I love these guys because they make everyday more memorable than the previous day. They also like sharing awesome stuff with kids and answering 101 questions. wow. i was “holding” the chair the hole time i’ve read the article!